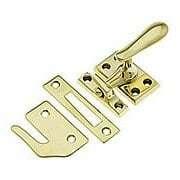 This small sized, ring handle casement latch is made of solid, non-corrosive brass. 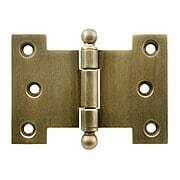 The handle and base are riveted for extra strength, making this a fine choice for large or hard to close windows. Includes 2 strike plate options. 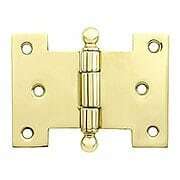 Our standard size casement latch is beautifully made from non-corrosive solid brass. This versatile set includes strikes for every application and features an adjustable tension handle. 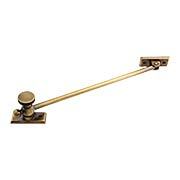 This classic casement stay delivers smooth function and long-lasting wear. The traditional-style, knurled knob lets you open, close, and secure your vintage, outswing casement windows with ease. With its solid-brass construction and lacquered surface, it’s suited for a variety of homes from Colonial to Victorian to Arts & Crafts. 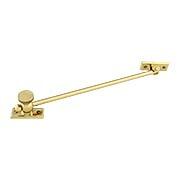 This premium, solid-brass casement stay delivers smooth function and long-lasting wear. 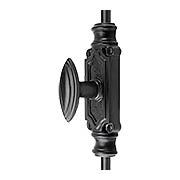 The traditional-style, knurled knob lets you open, close, and secure your vintage, outswing casement windows with ease. With beveled mounting plates and your choice of five popular finishes, it’s suited for any décor. And, it’s reversible for left or right handing. 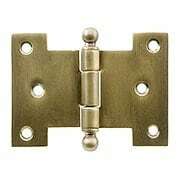 Solid-Brass Parliament Hinge with Ball Tips - 2 1/4" x 3"
Parliament-style hinges have been a favorite since the late 19th century. Our authentic reproduction is made of sturdy, solid brass, and features classic ball finials and a removable stainless-steel pin that repels rust. Ideal for deep set casement windows, it comes in your choice of four popular finishes. Solid-Brass Parliament Hinge with Ball Tips in Antique-By-Hand - 2 1/4" by 3"
Parliament-style hinges have been a favorite since the late 19th century. Our authentic reproduction is made of sturdy, solid brass, and features classic ball finials and a removeable stainless-steel pin that repels rust. Ideal for deep set casement windows, it comes in our exclusive Antique by-Hand - a finish that ages gracefully over time into a beautiful natural patina. 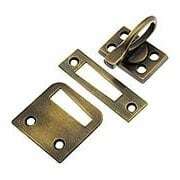 Solid-Brass Parliament Hinge with Ball Tips - 2 1/2" x 3 1/2"
Solid-Brass Parliament Hinge with Ball Tips in Antique-By-Hand - 2 1/2" by 3 1/2"
Solid-Brass Parliament Hinge with Ball Tips - 2 1/2" by 4"
Solid-Brass Parliament Hinge with Ball Tips in Antique-By-Hand - 2 1/2" by 4"
Solid-Brass Parliament Hinge with Ball Tips - 2 1/2" by 4 1/2"
Solid-Brass Parliament Hinge with Ball Tips in Antique-By-Hand - 2 1/2" by 4 1/2"
This premium, solid-brass casement stay delivers smooth function and long-lasting wear. 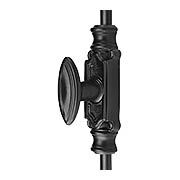 The traditional-style, knurled knob lets you open, close, and secure your vintage, outswing casement windows with ease. It features beveled mounting plates is reversible for left or right handing, and comes hand-finished with our living antique patina. 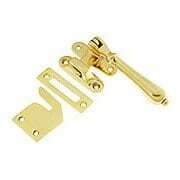 This small sized, ring handle casement latch is made of solid, non-corrosive brass. 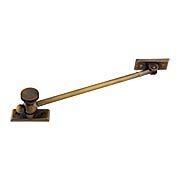 The handle and base are riveted for extra strength, making this a fine choice for large or hard to close windows. Finished with our exclusive living patina. 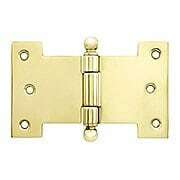 This Large Casement Latch is made of solid, non-corrosive brass. 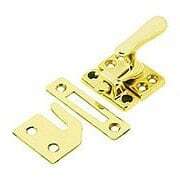 The handle and base are riveted for extra strength, making it a fine choice for large or hard to close windows. It comes in our exclusive Antique by-Hand - a finish that ages gracefully over time into a beautiful natural patina. Includes three strike plate options. 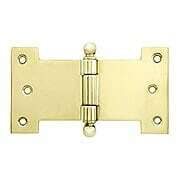 This Large Casement Latch in Antique-By-Hand is made of solid, non-corrosive brass. 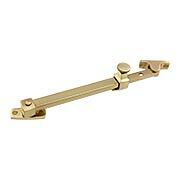 The handle and base are riveted for extra strength, making it a fine choice for large or hard to close windows. It comes in our exclusive Antique by-Hand - a finish that ages gracefully over time into a beautiful natural patina. Includes three strike plate options. 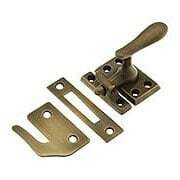 This late Victorian style casement latch is as practical as it is beautiful. The pendant-like handle pivots up to disengage the latch, but hangs tight to the sash otherwise, making this a great choice for windows with interior shutters or blinds! 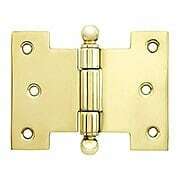 Made of durable, non-rusting cast brass, it includes three types of keeper - flush, mortise and side mount. Adorned with intricate patterns, this French-style Floral Cremone Bolt (9-Foot) is as lovely as it is functional. 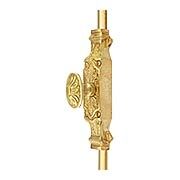 Cast in solid brass, a charming flower graces the knob, while the case and guides feature classic acanthus leaf motifs. Left unlacquered, it may be kept polished, or allowed to darken naturally over time. 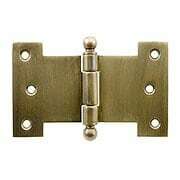 Ideal for French doors, casement windows, and even cabinets and armoires. 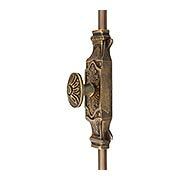 Adorned with intricate patterns, this French-style cremone bolt is as lovely as it is functional. 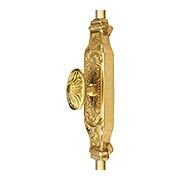 Cast in solid brass, a charming flower graces the knob, while the case and guides feature classic acanthus leaf motifs. This version comes in our own Antique-By-Hand - a living finish that ages gracefully over time. 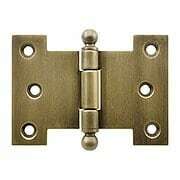 Ideal for French doors, casement windows, and even cabinets and armoires. Adorned with intricate patterns, this French-style Floral Cremone Bolt (6-Foot) is as lovely as it is functional. 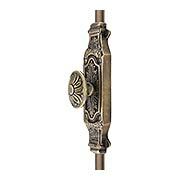 Cast in solid brass, a charming flower graces the knob, while the case and guides feature classic acanthus leaf motifs. Left unlacquered, it may be kept polished, or allowed to darken naturally over time. Ideal for French doors, casement windows, and even cabinets and armoires. This stately, Regency-style cremone bolt lends a dignified air to French doors, casement windows, and even cabinets and armoires. Classic arches and curves adorn its understated design, making it a fine choice for a variety of interiors. This stately, Regency-style cremone bolt lends a dignified air to French doors, casement windows, and even cabinets and armoires. Classic arches and curves adorn its understated design, making it a fine choice for a variety of interiors. Solidly crafted from cast iron, it wears your choice of an antique iron or matte-black finish.